The elbow length veil also called the waist length will create a modern bridal look and is ideal if your gown has a full skirt as it will end just where the skirt begins – perfect for a retro inspired or 1950s bridal look! 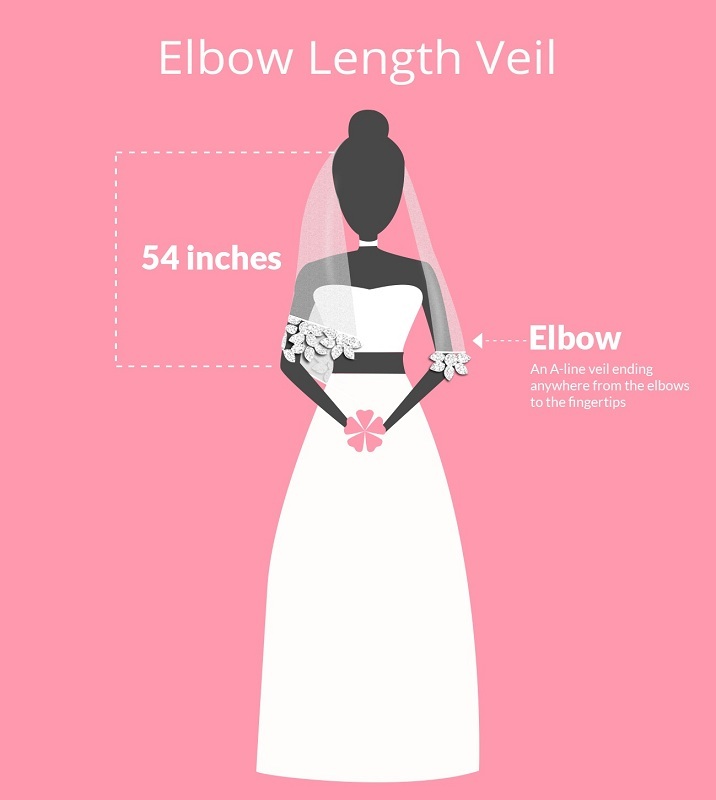 The elbow length veil is available in a choice of one, two or three tiers and the tiers are usually designed to cover the front of the face and be pushed back after the main ceremony. 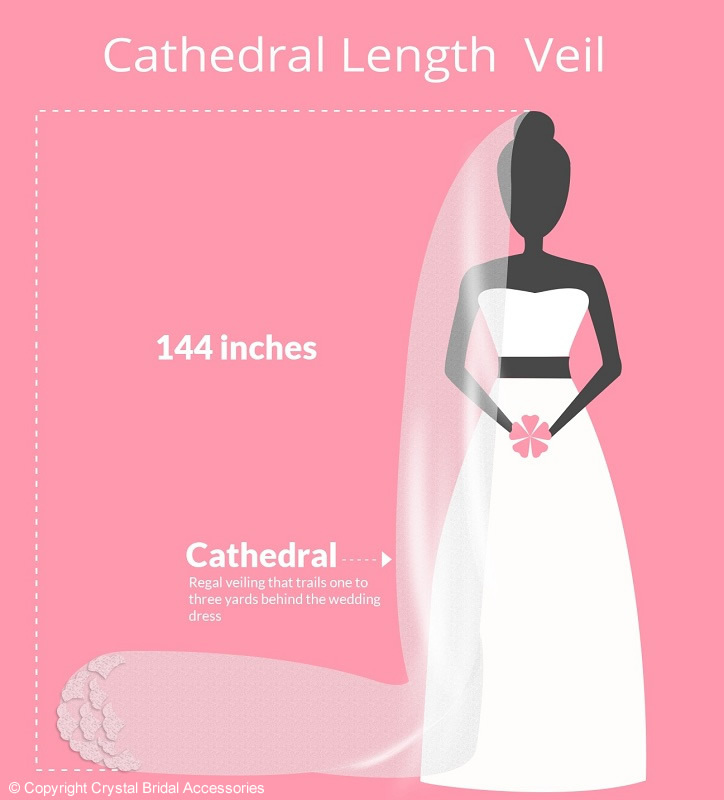 The most versatile of all the veil lengths – the fingertip or hip length veil will complement any style of wedding gown particularly a long dress whether it is vintage, modern or classic. 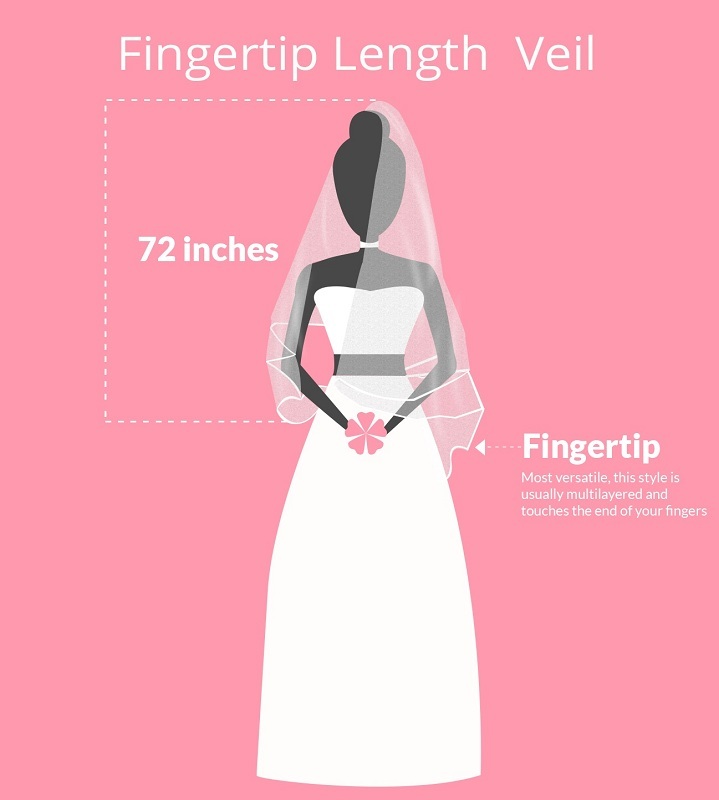 The fingertip length veil is available in one, two or three tiers so you can use the tulle to cover your face during the ceremony if required. 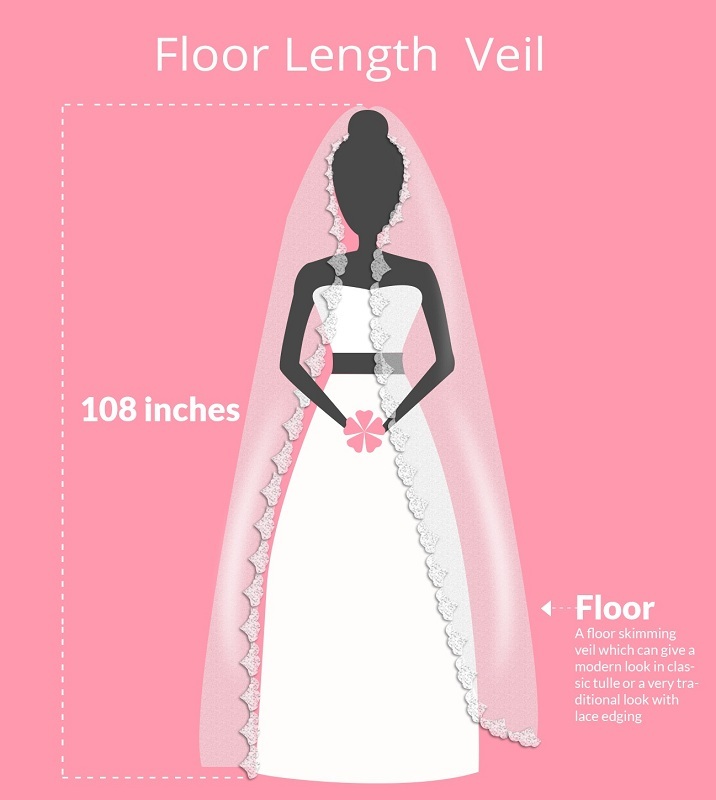 The floor length veil is designed to skim the floor so there is no visible train – this creates a contemporary and manageable shape of veil which is ideal for a wedding abroad. The most common shape is single tier but there are two tier options available if you need to have a layer to cover your face during the ceremony. This is the perfect length of veil for the bride who needs a completely formal look and wants to create a statement with her wedding veil. 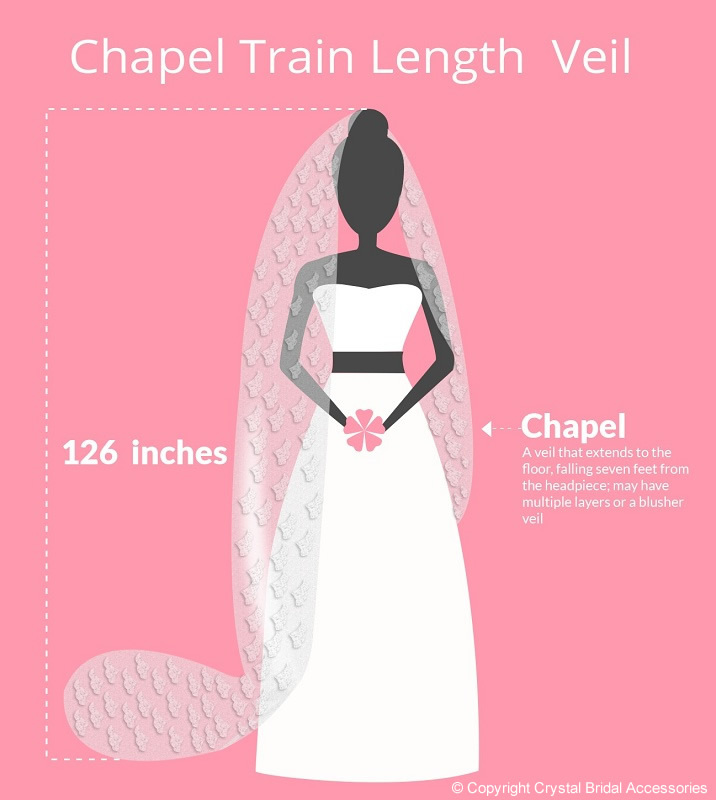 The short train length is ideal for a church ceremony and makes the veil more manageable. There is the option of one or two tiers depending on whether the veil is in a mantilla or classic style. The longest of all the veil lengths – the ceremonial and utterly regal cathedral length veil offers ultimate decadence for the bride who wants her veil to be the feature of her look. The cathedral length veil can add interest with beading or lace appliqués on the train of the veil too or a plain design for a dress which already has detail on it. These images are Copyright to Crystal Bridal Accessories. These images cannot be copied, reused or distributed anywhere online or in print without prior consent from Crystal Bridal Accessories Ltd.